Just as 4K displays were becoming more affordable and widespread, it seems as though industry standards groups are preparing to up the stakes again. Apple’s 5K iMac still isn’t a high enough resolution for the Video Electronics Standards Association (VESA), who is now introducing the new Embedded DisplayPort 1.4a video transfer format. Among other things, the new standard is capable of allowing laptops and other all-in-one systems to make use of massive 8K displays. Using a special compression technology to blast all those pixels through a single pipeline, not only will systems with it on board be able to run displays with a resolution up to 7,680 x 4,320, but also provide benefits for computers not looking to drive 8K displays. For example, a laptop like this using DisplayPort 1.4a will require the use of fewer data paths than it would with the previous standard, and could end up with a longer battery life and very similar performance. By the sounds of it, VESA is pushing the standard through as fast as possible. 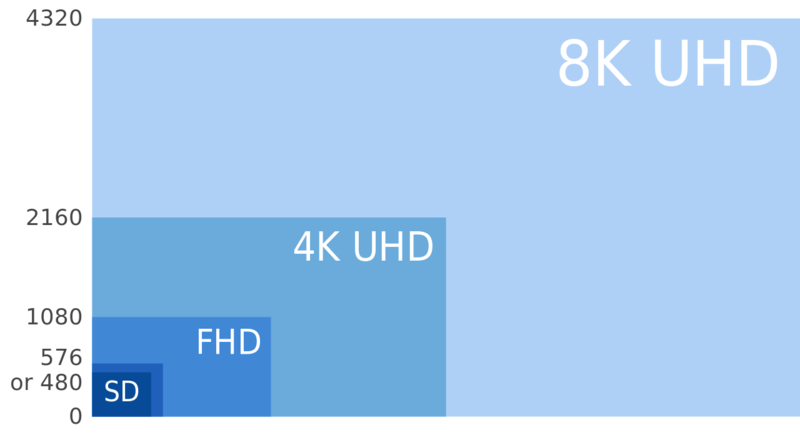 Systems with the new DisplayPort are expected to begin shipping by some time next year, although, as some have suggested, it is likely that we will see 8K TVs become more readily available before 8K computers do.